The prizes keep on coming and for today's instalment we have two ARM-based GoPro HERO3+ Black Edition cameras up for grabs! Able to capture video resolutions up to 4K and 12MP photos up to 30 frames per second, the shockproof and waterproof HERO3+ Black Edition is the perfect gadget for adrenaline junkies! And with built-in Wi-Fi, you can control your camera remotely as well as share your favourite content online via Facebook and Instagram. 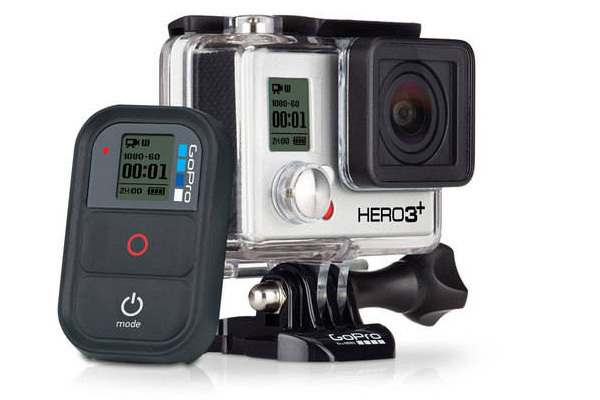 The HERO3+ Black Edition normally retails for £360, but we've got two to give away for free! To be in with a chance of winning, simply answer the following question, and don't forget, you can also claim a free second entry via Facebook! Good luck, and check back soon for more prizes in our Epic Giveaway! The competition winner will be picked at random from all eligible entries that arrive by midnight of the closing date, December 24, 2013. The prize is one of two GoPro HERO3+ Black Edition cameras. This will definitely come in handy when I have to mow the lawn.